This is mine. I killed it in 2009. 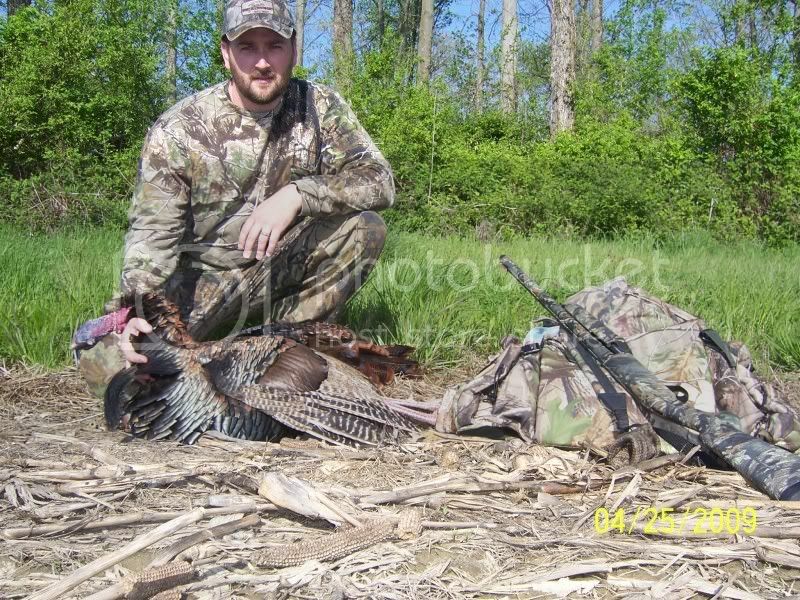 25 lbs, 35 mm spurs, 11 1/2 inch beard. Probably never shoot another one that big. Not the best field pic. That is an awesome bird! 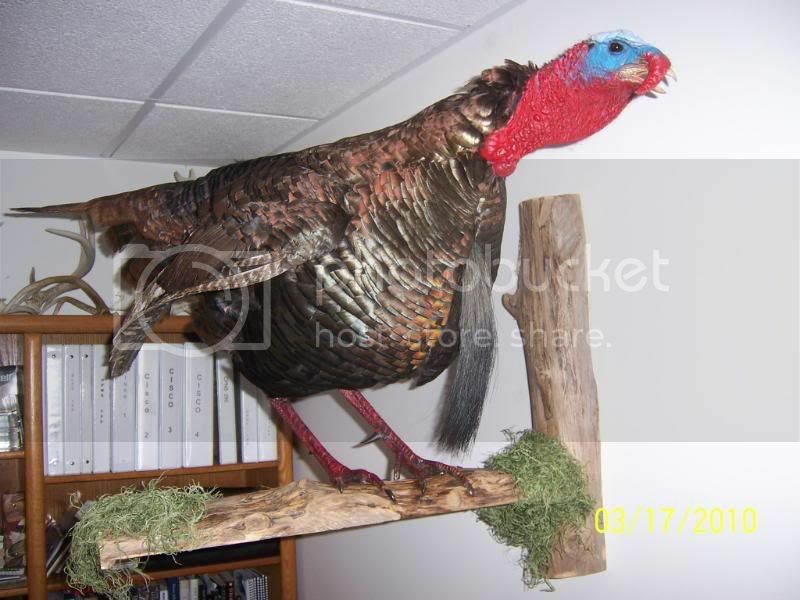 Great trophy and i love that mount! That is a goodin' right there!!! The mount is great!! Thats a dandy!!! Cool mount too! big bird. my longest beard was a little longer, but he only tipped the scales at 19 1/2 lbs. he was running lean. Sorry guys, I didn't realize each person needed a separate post. I'll remember for next time. Congrats on a Good bird and a Great mount. 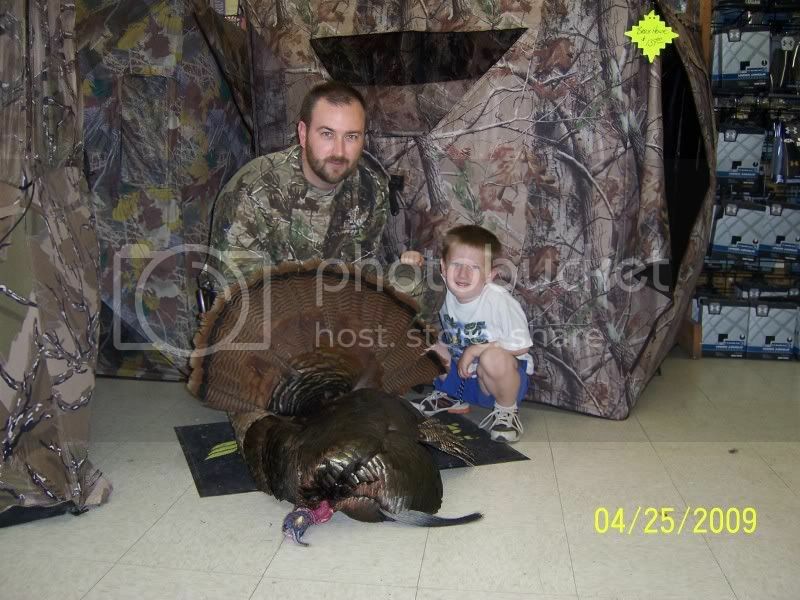 Very nice bird, I remember seeing those pic's on talk hunting way back when. Great bird, you must still be eating on it. Love the mount too.